A fun-filled family snow activity. From beginners to adrenaline seekers, snowmobiling is guaranteed to get the heart pumping. Cruise around on a Segway surrounded by beautiful winter scenery. 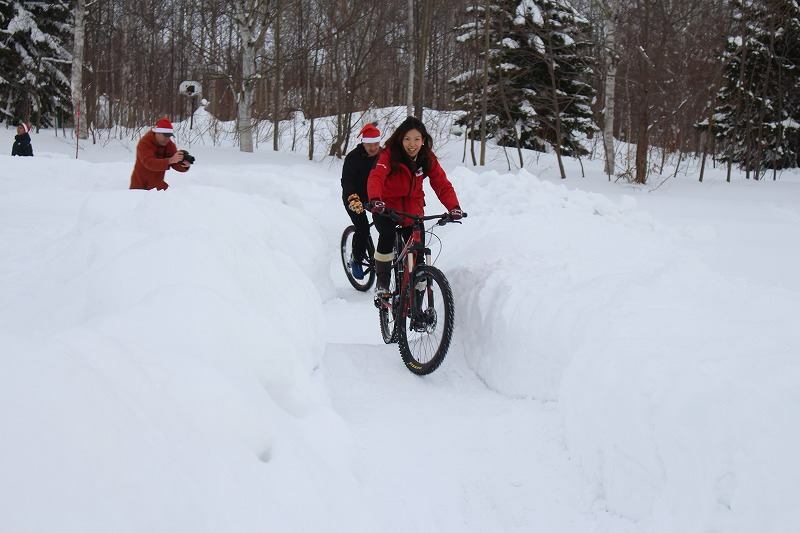 Tour round the Explore Niseko Activity Centre's snow track on a fat wheel bike! 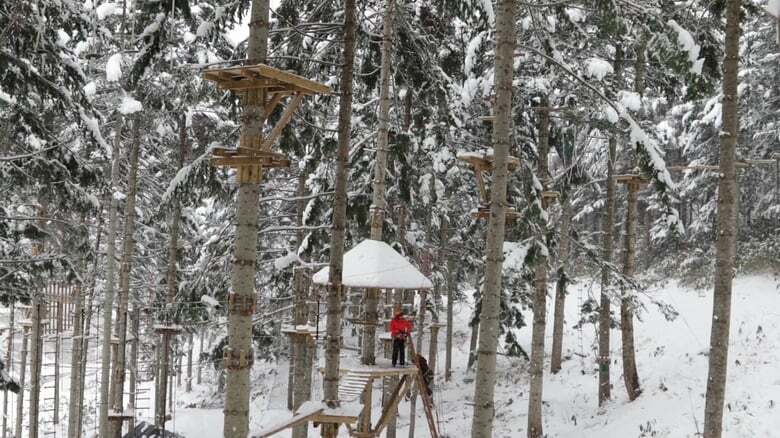 Tree trekking, zip lining and over 100 other elements make up the adventure park. Get a taste for a range of outdoor activities, including snow trekking and snowshoeing. A great way to get into nature and enjoy the deep snow and winter scenery. Get away from the crowds and experience a traditional Hokkaido hot spring. A range of Japanese cultural activities from calligraphy to tea ceremonies and more.